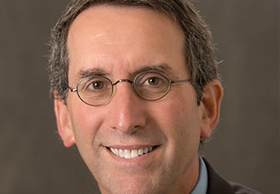 Daniel Wolfson is executive vice president and chief operating officer of the ABIM Foundation. It took many decades for it to become widely recognized that one-third of healthcare has little or no value. To expect to reverse this trend in a fraction of that time would be magical thinking. The Choosing Wisely initiative is a tool that clinical practices and health systems can use to reduce utilization of unnecessary tests and procedures. Choosing Wisely has partnered with medical specialty societies, which have provided over 500 credible recommendations about unnecessary practices, and it has engaged over 800,000 clinicians in the country. Early attempts to reduce these services can be the catalyst for even more progress. Now is the time for clinical practices and health systems to use that tool—Choosing Wisely—along with system changes to dramatically alter the use of unnecessary services. We need to engage more physicians in implementation and motivate health system leaders and the medical education community to embrace this mission. Five years ago, conversations about healthcare in the U.S. were fraught with tension. Efforts to reduce wasteful services were viewed as withholding care, and patients worried that they or their loved ones could arbitrarily be denied necessary care. The Choosing Wisely campaign helped begin a new conversation about healthcare by turning the focus of the debate to the prevalence of low-value tests and procedures whose risks outweighed the benefits and were potentially harmful to patients. The ABIM Foundation enlisted the medical community from a professionalism-based perspective to look inward and address this problem; more than 80 specialty societies embraced the challenge. In late October, Health Affairs hosted a briefing on the first five years of the campaign, with newly published research indicating pockets of success in reducing overuse where systems worked actively to implement the recommendations, but negligible growth in physician awareness and no sweeping national inroads in practice change. This is not surprising. Choosing Wisely is not a self-implementing tool; it needs champions among clinical and system leaders. The types of behavioral and systemic change in healthcare that Choosing Wisely promotes can be challenging and take time. The​ overarching​ goal of the campaign is to achieve greater awareness and conversations about evidence-based care, and we have indicators that this has been accomplished—notably, more than 1,300 peer-reviewed journal articles in 2016 alone mentioned Choosing Wisely. There have been noteworthy gains in reducing utilization of unnecessary tests, shown in peer-reviewed journal articles that studied multiple health systems' reductions in low-value lab tests and use of telemetry and urinary catheters. Another example of successful implementation is that 11 of 14 Robert Wood Johnson Foundation Choosing Wisely grantees have met their goal of reducing inappropriate antibiotics prescribing by at least 20%. Through research published about hospitals and health systems working to implement Choosing Wisely, we know that two types of change are needed to make a difference—cultural change and system change. System change involves, for example, using clinical decision support and altering ordering systems to help make it easy for clinicians to do the right thing. Cultural change is harder and involves a commitment throughout a practice or health system to provide high-value care. When studies examining insurance claims data show no reductions in overuse, it is because no system change occurred. Cultural change must be accompanied by systemic change. Many peer-reviewed journal articles have shown improvements when system changes like peer comparison of performance were employed along with efforts to change culture. As Choosing Wisely continues to spread and evolve, our goal will be to track how it is implemented—and how it is reducing unnecessary healthcare services. In our estimation, where changes don't occur, it says less about the tool and its effectiveness and more that many practices and health systems still need to pick it up and try it.